The other day I did some small simple sketches of fields, mountains and sky using gouache on small sheets of black paper. I was practicing quickly placing the big shapes down in a free sort of way and did not expect to ever look at the work again. Today, though, I thought to use these as a background for sketches of wildflowers. 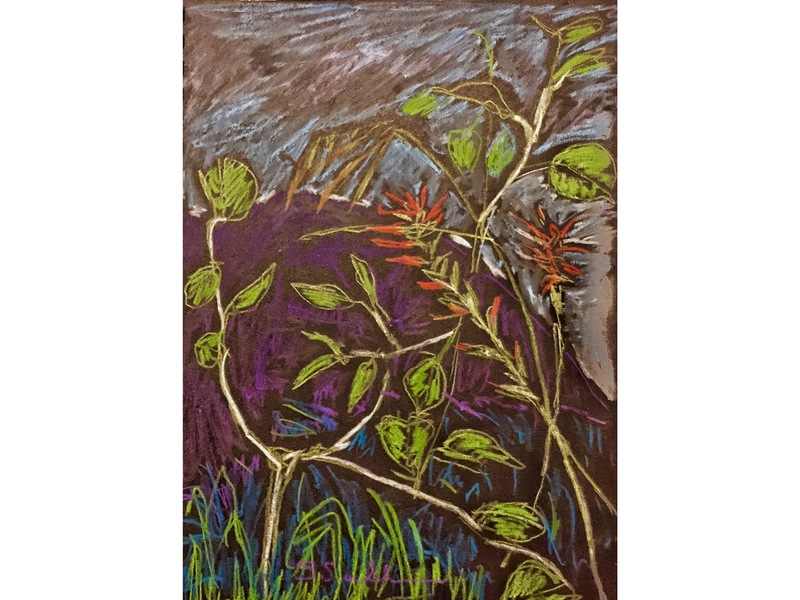 Using pastels, I added a few stems of Indian Paintbrush, one of my favorite wildflowers, along with some aspen leaves and wild grass. This entry was posted in Landscape and tagged #WorldWatercolorMonth, Colorado, Gouache, Pastel, Wildflowers. Bookmark the permalink. Love the colorful, casual and abstract composition!